Hunting PLC (LON:HTG), the international energy services group, today provided a year-end Trading Update ahead of announcing its 2018 Full Year Results on Thursday 28 February 2019. Group results to the end of November 2018 have remained in line with management’s expectations, underpinned by broad-based stability within the Group’s operations. As expected and previously noted in the October 2018 Trading Update some market softness has been observed within those businesses focussed on the US onshore as public holidays and the exhaustion of clients’ budgets have marginally impacted daily sales run-rates. Hunting Titan has continued to deliver record results in 2018 due to US onshore completion activity, coupled with increased market acceptance of the Group’s proprietary technologies, which has led to a strong year-on-year increase in revenue and operating profit. Q4 operating profits are likely to record a marginal decline compared to the previous two quarters, for reasons noted above, in addition to increased competition seen within certain product lines. Further, clients are indicating caution on committed spend for the early part of 2019 as the lower oil price and pipeline bottlenecks in the Permian basin indicate a short term slowing in completion activity. As reported by market commentators, the pipeline bottlenecks in the Permian are forecast to improve by mid-2019. The Group’s US segment has also reported an improved performance during 2018. Hunting Electronics reported a further growth in sales during the quarter on the back of downhole tool replacement programmes for key clients, supported by continued production of firing switches on behalf of Hunting Titan. 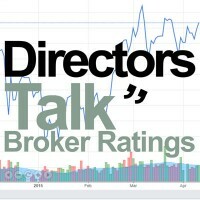 The Group’s Premium Connections, Dearborn, Specialty Supply, Trenchless and Drilling Tools businesses also report an improving financial performance as the region’s core markets maintain stability, despite the recent oil price decline. The Group’s Canada, Europe, Middle East and Asia Pacific segments, report a similar performance in Q4 compared to Q3, with cost containment initiatives continuing to narrow losses. Given the Group’s performance in the year, supported by robust cash generation and disciplined capital expenditure, Hunting maintains a strong Balance Sheet. The Group’s net cash position as at 7 December 2018 was $44.6 million, which includes the cash refund of $10.6 million from the Company’s UK pension surplus. 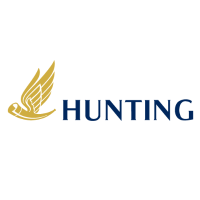 During November 2018, the Company’s employee share trust purchased 750,000 Hunting PLC ordinary shares, which absorbed $5.7 million of cash. These shares will be used to partially satisfy future share award vestings. Hunting Titan continues to progress the production capacity expansion programmes at its Pampa and Milford facilities. Both projects remain on track for completion in late Q1 2019. The Group anticipates that capital expenditure for the full year 2018 will be c.$30 million. In December 2018, Hunting concluded discussions with its bank group to improve the terms of the Group’s committed borrowing facilities. Total committed facilities are now $160 million (previously $200 million), with the facility now due to expire in 2022. Subject to agreement with the bank group, the facility can be increased to $235 million and the term extended by one year to 2023. Further commentary on the Group’s trading expectations for 2019 will be provided within the 2018 Annual Report when published in February 2019. However, given the current volatile market environment, management anticipate these market conditions will impact short term budgetary decision making by our customers with possible deferrals of work. Management enter 2019 with a cautious outlook, but believe that Hunting is in a robust position to manage these challenging market conditions.